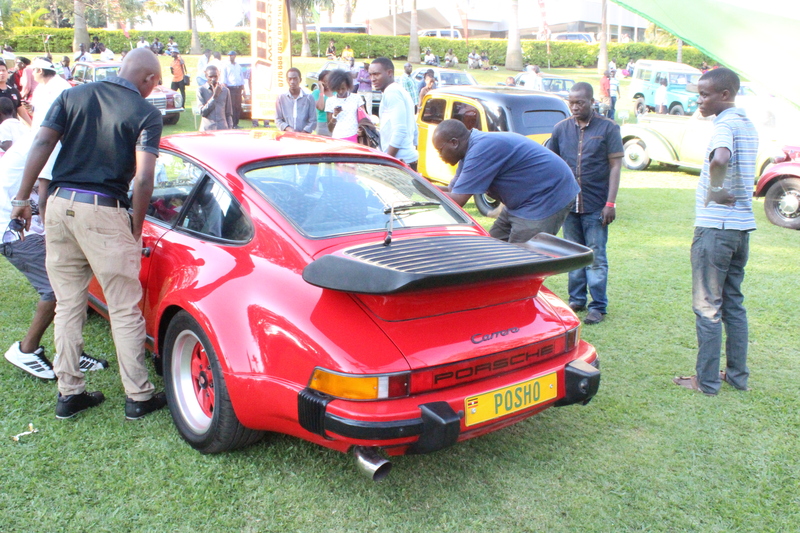 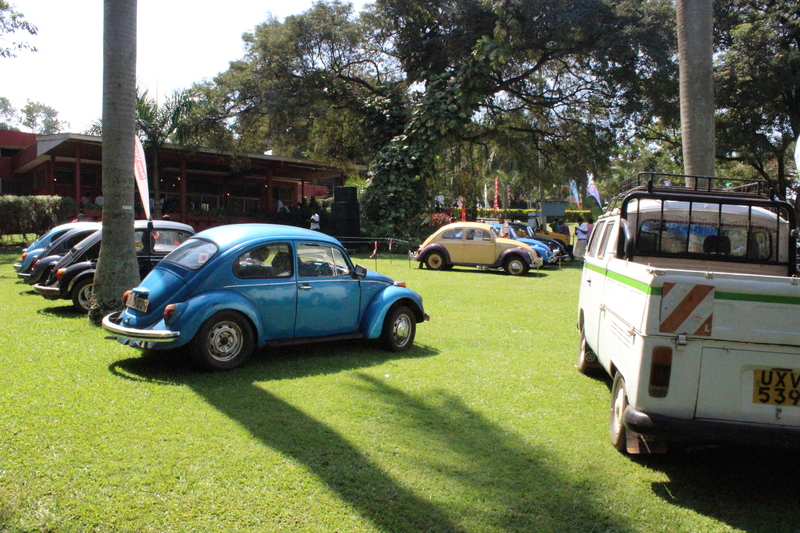 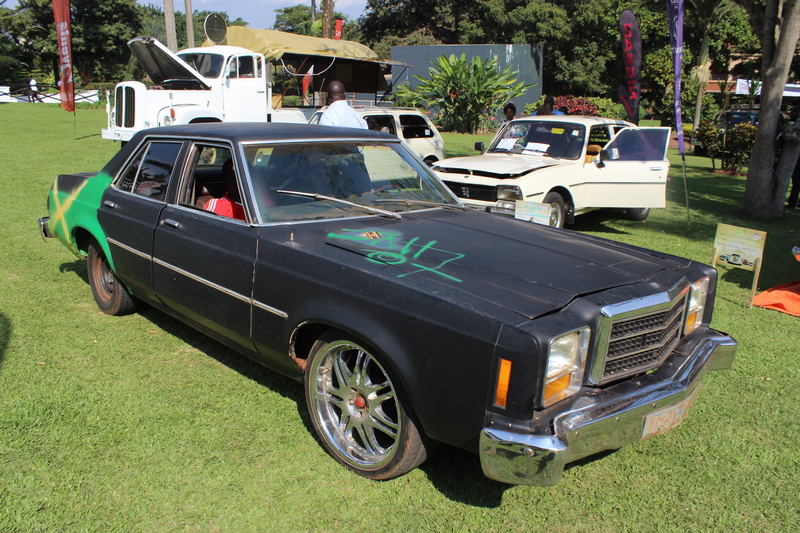 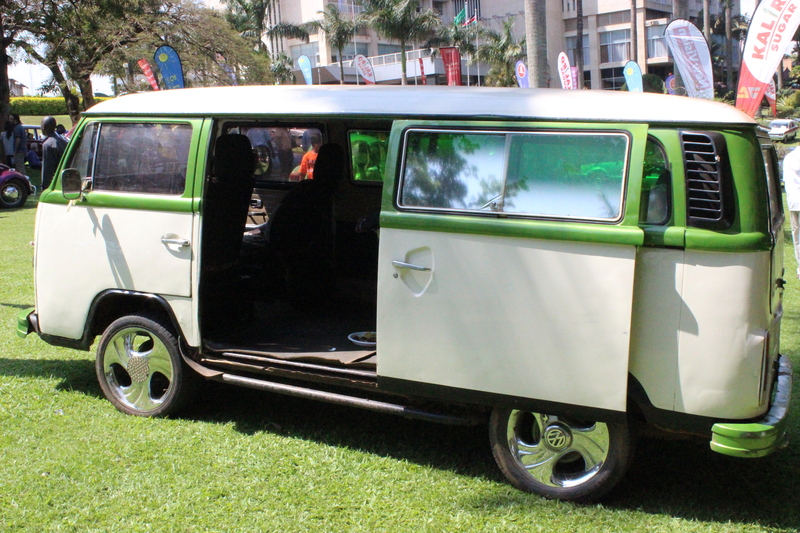 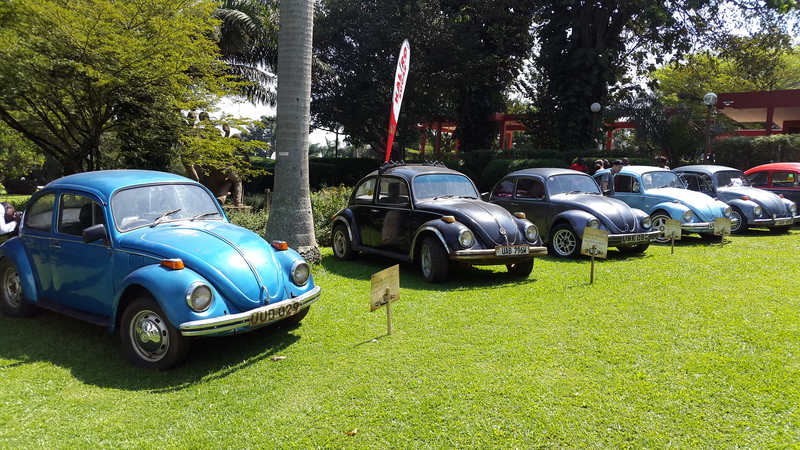 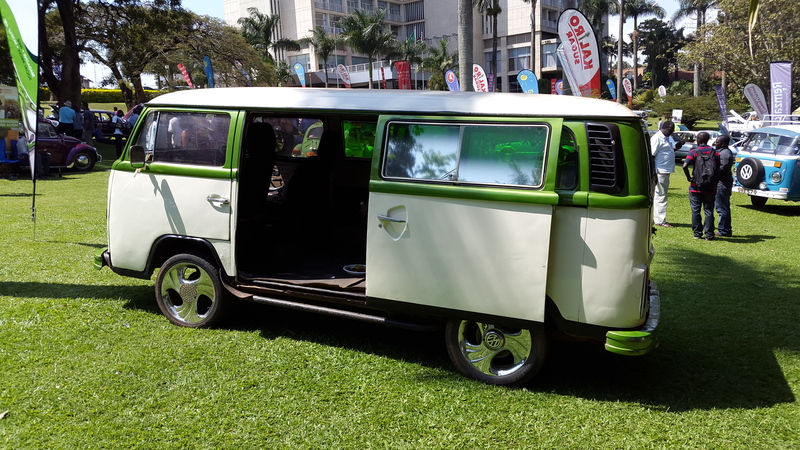 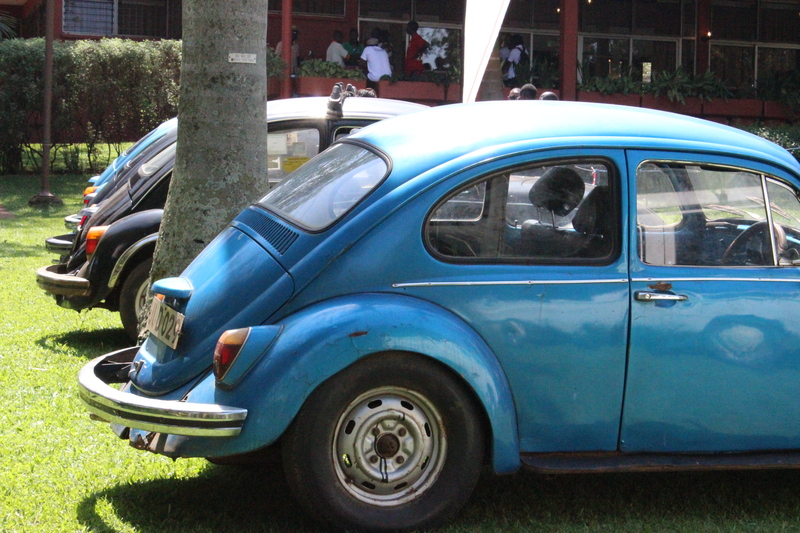 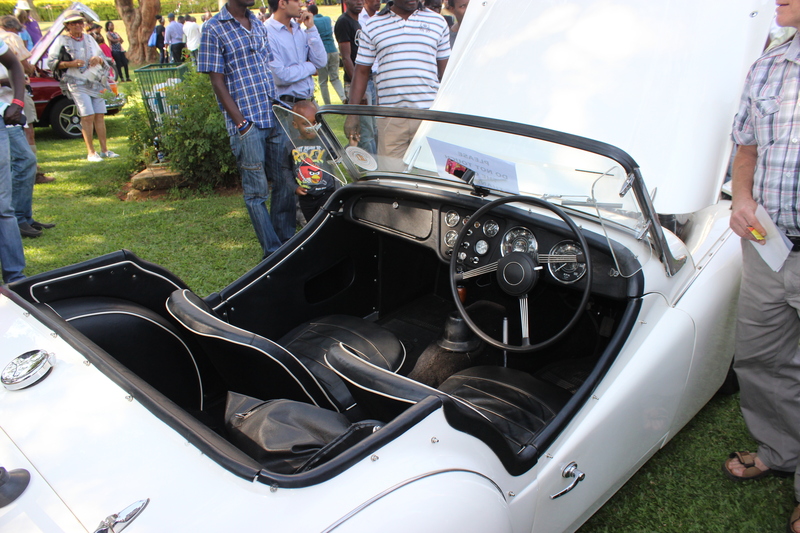 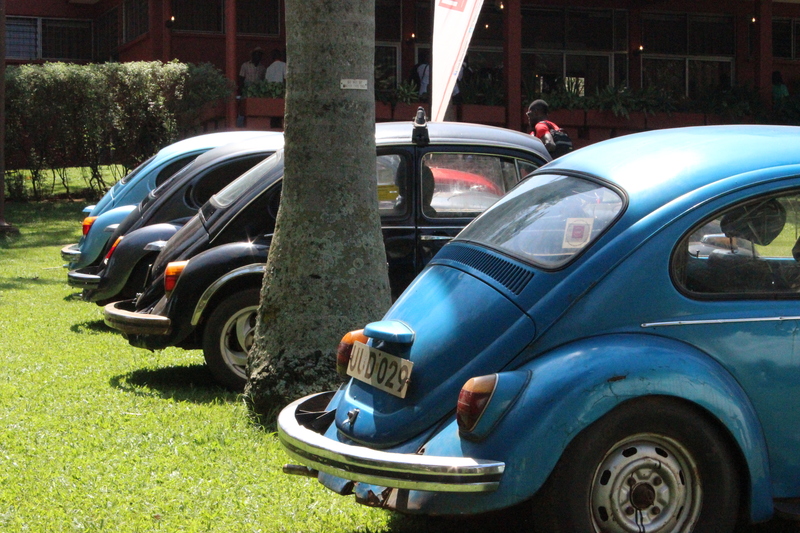 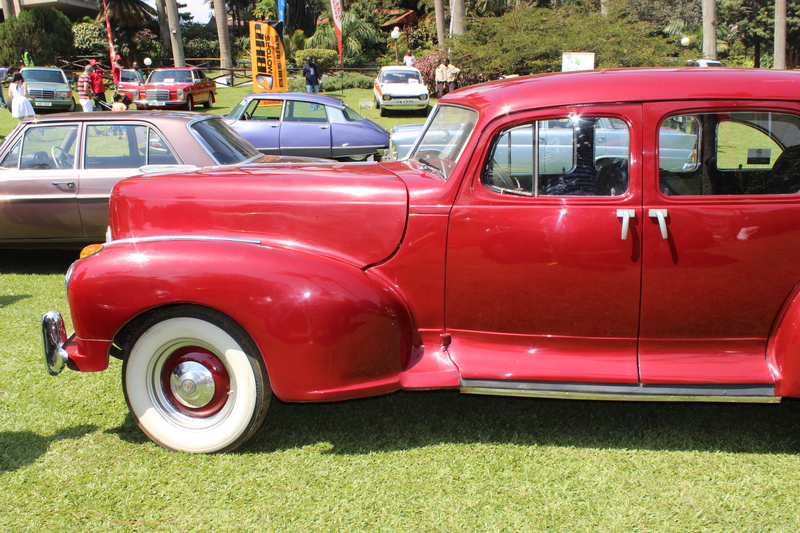 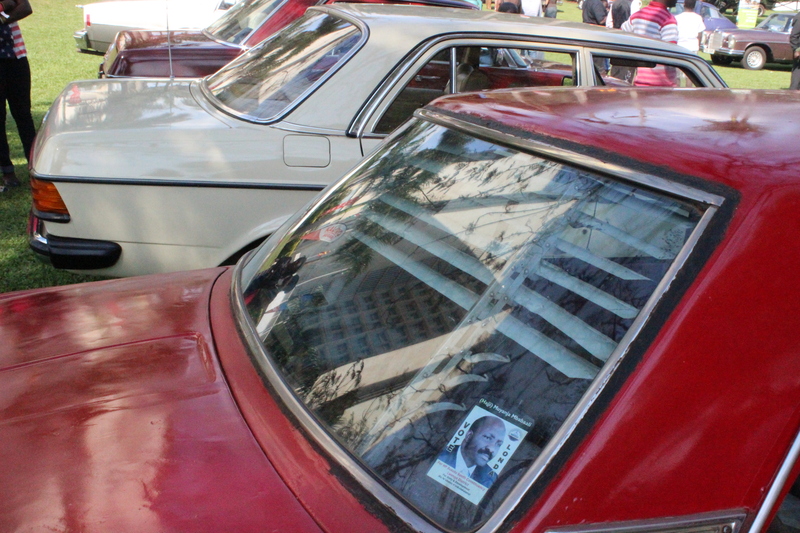 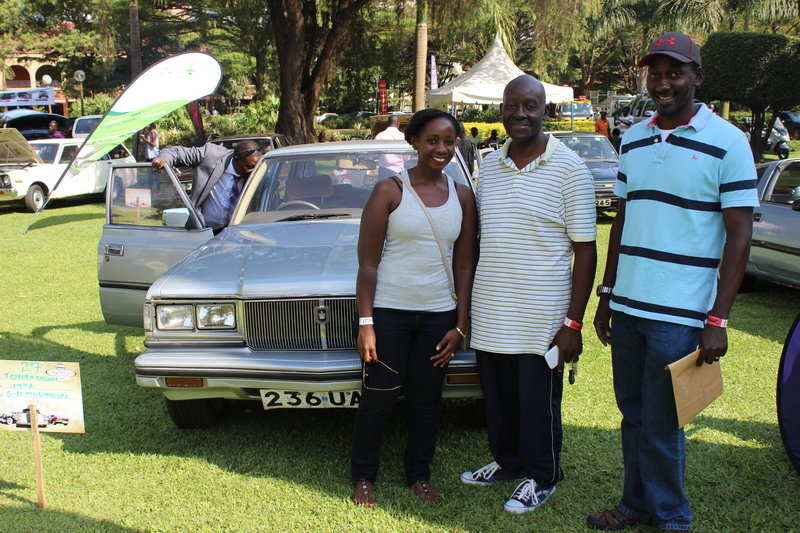 The Vintage & Classic Auto Show wasn’t just about seeing nice, old, elegant, well-kept cars. 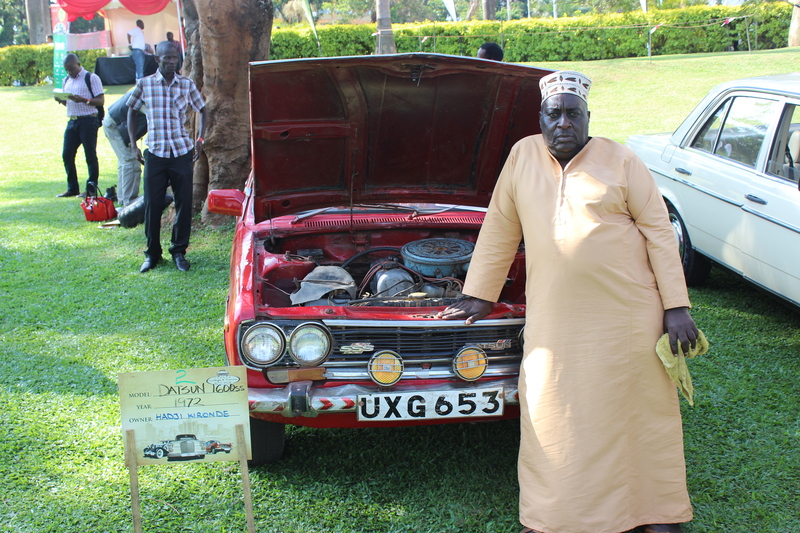 This guy, Hajji Kironde of Butambala, was one of my clear favourites with his 1972 Datsun 1600SS (also called the Datsun 510 in the United States). 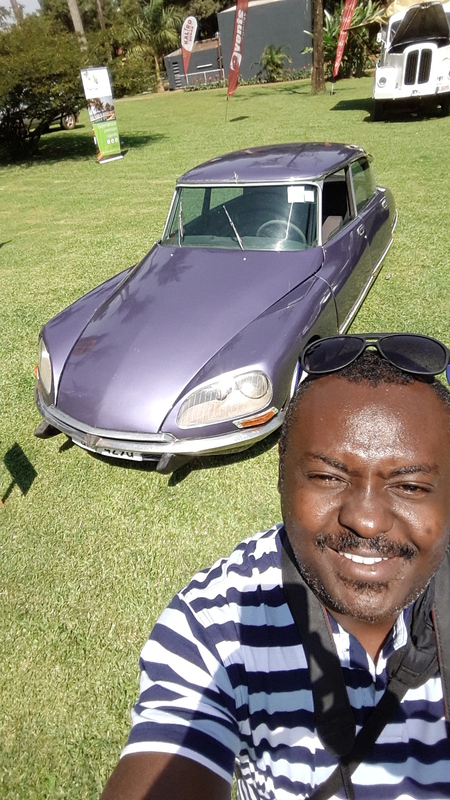 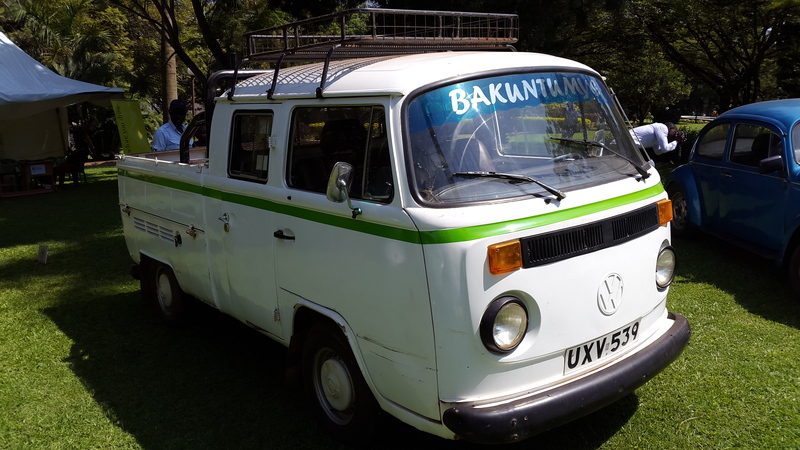 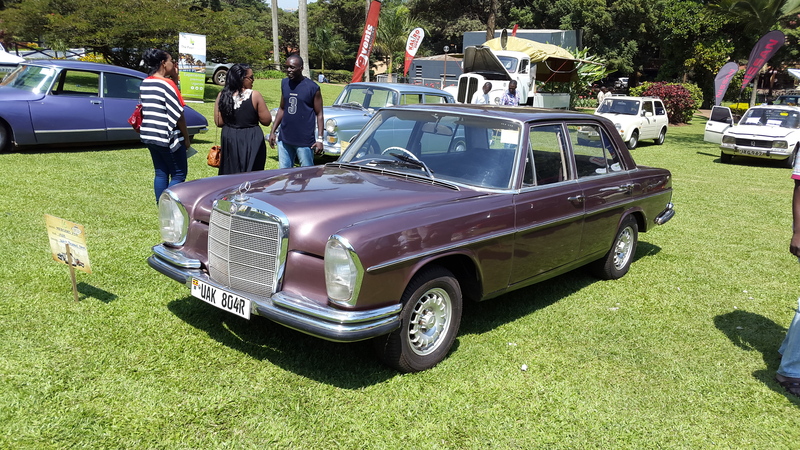 The energetic Hajji told me in no uncertain terms how fantastic his car has been these 42 years past – and he has driven it practically every day of those years. 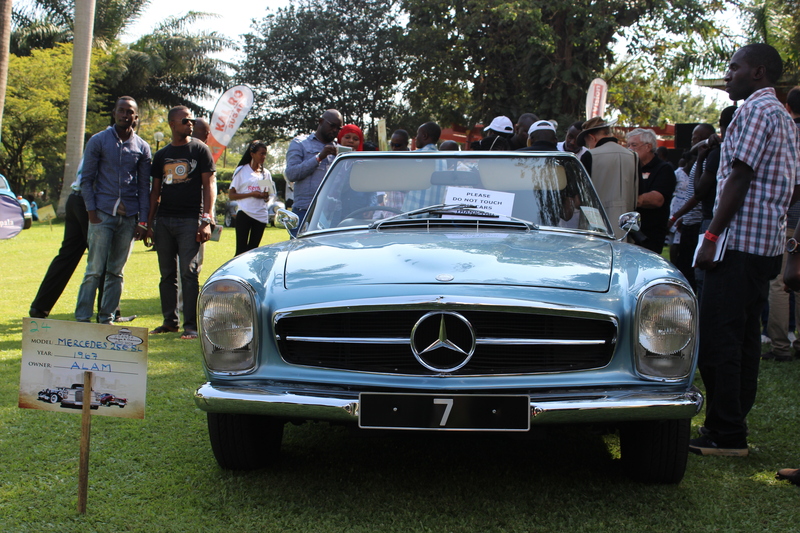 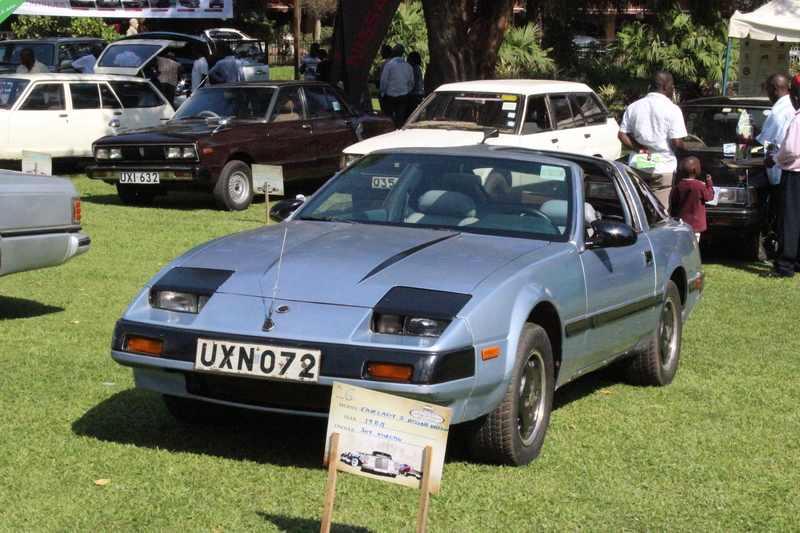 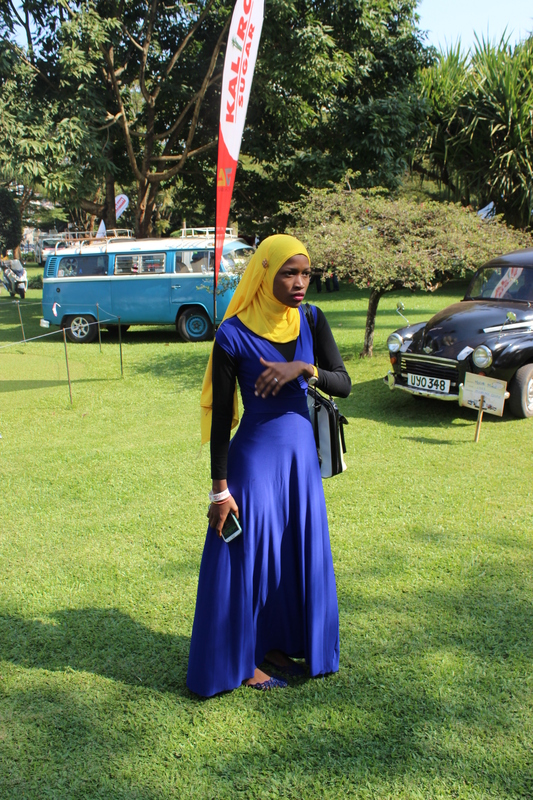 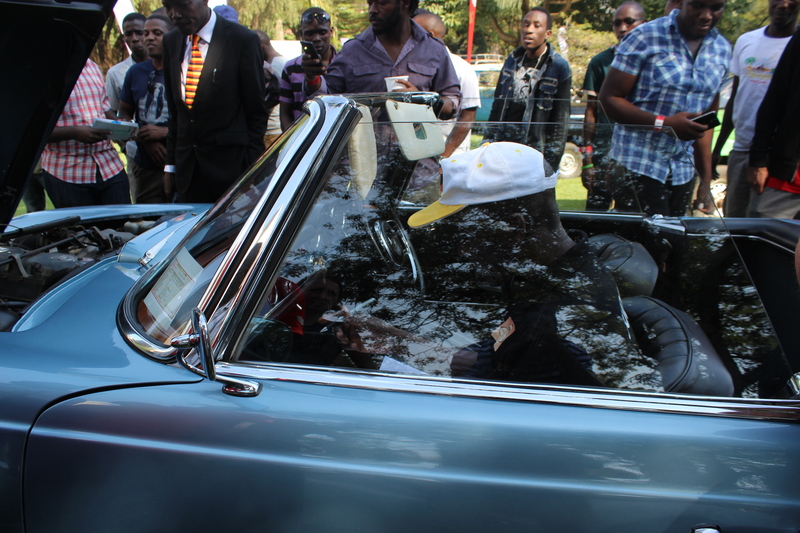 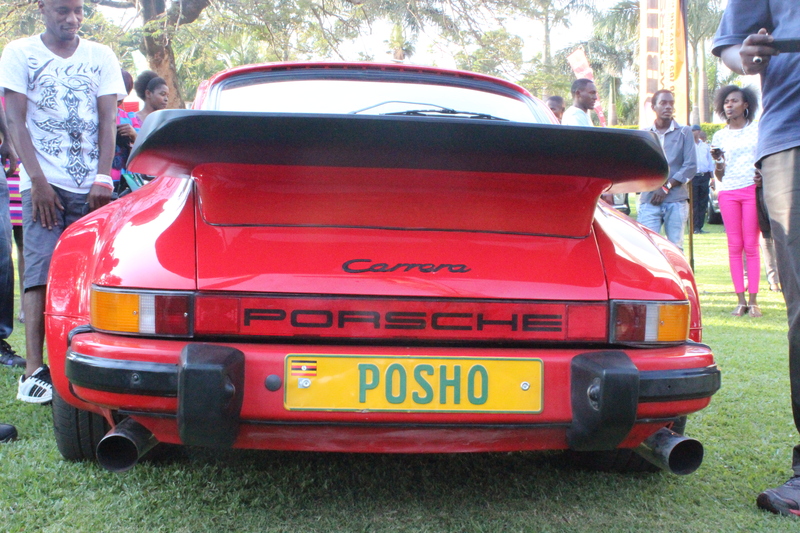 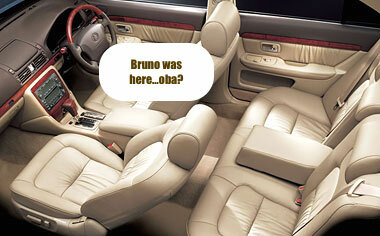 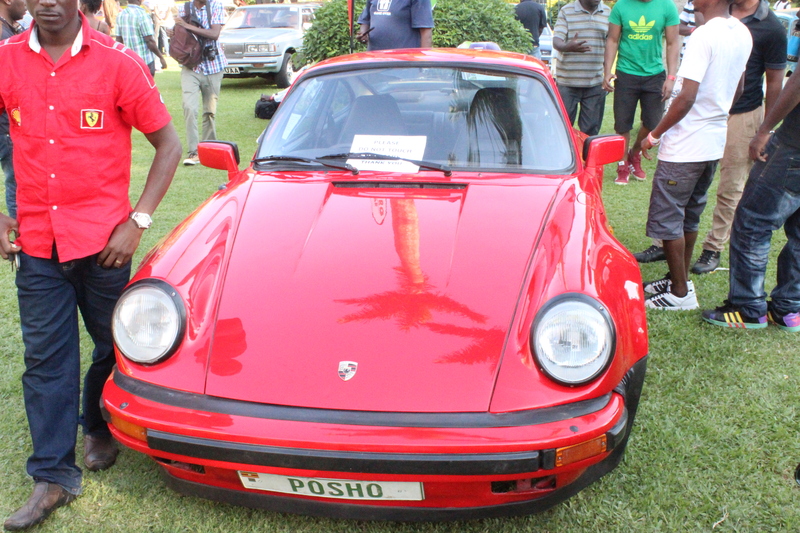 “I bought it in Amin’s regime after making some good money and I have driven it ever since. 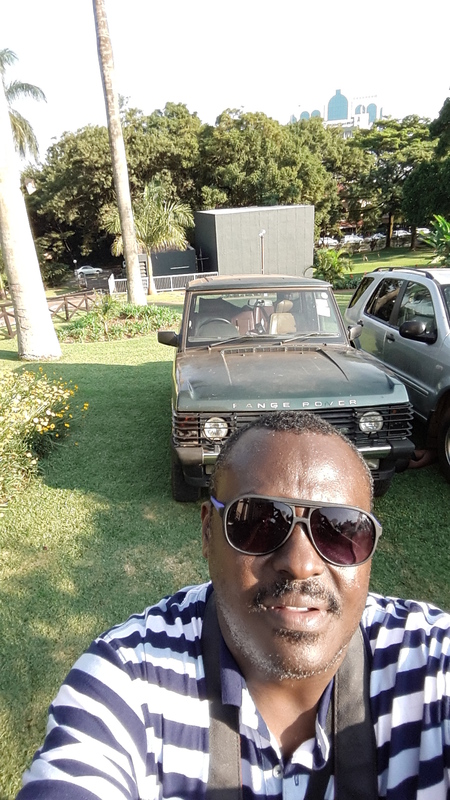 My children have gone to school, I have owned and lost businesses, and I am still alive and thriving!” he told me in Luganda. 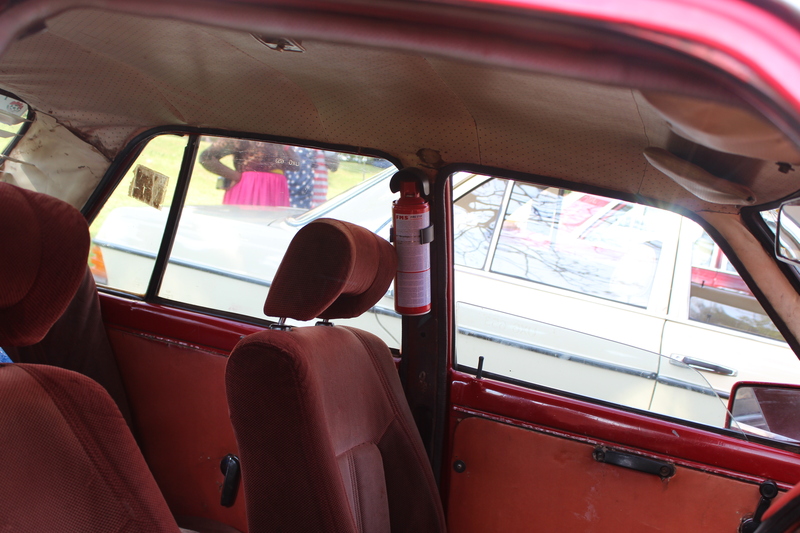 And, he continued, taking me round his car, in Amin’s regime you could not drive around without a fire extinguisher in your car – so he still has his! 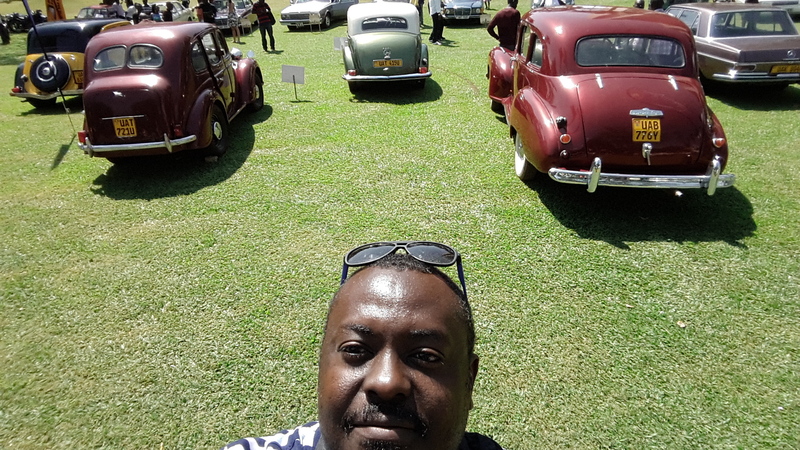 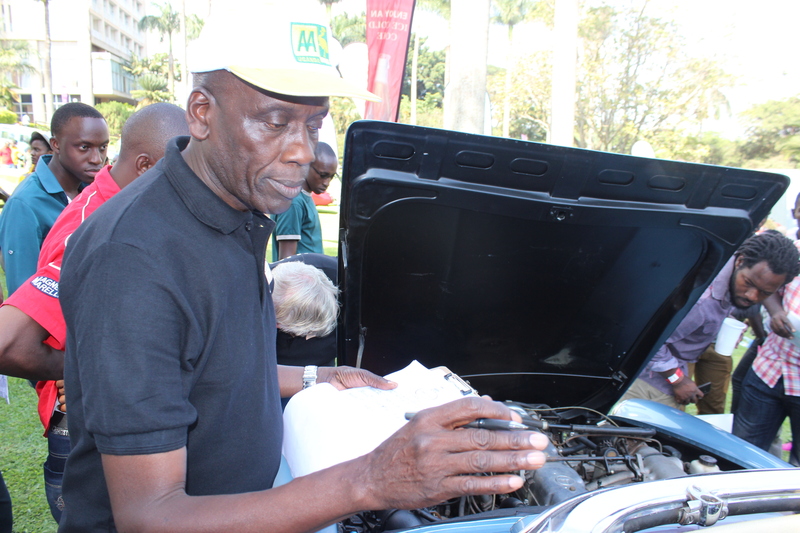 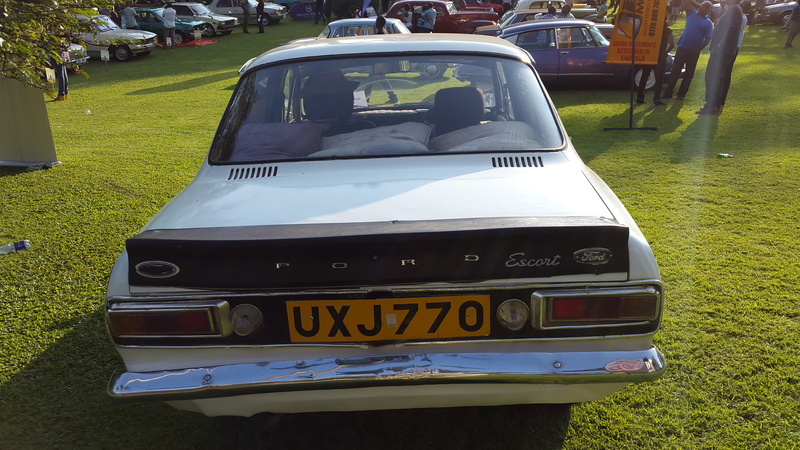 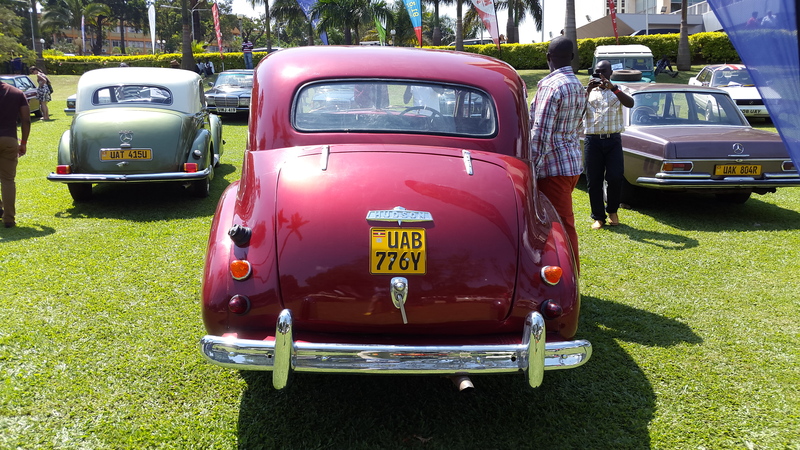 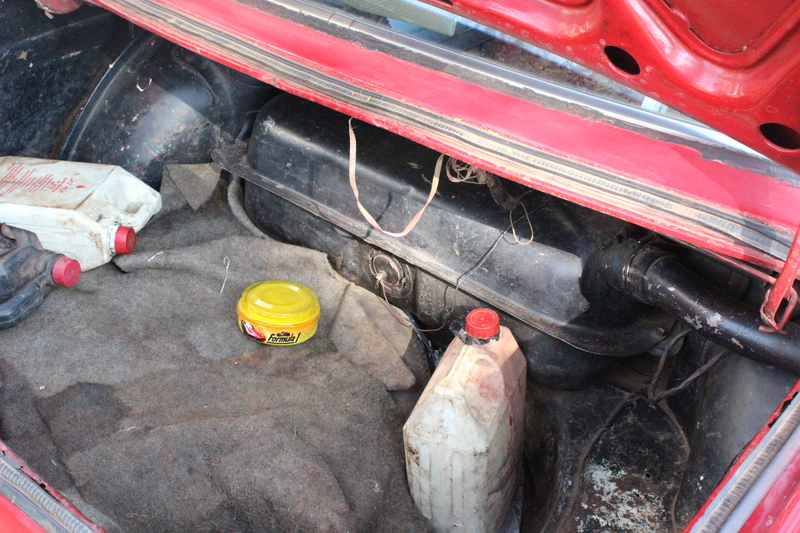 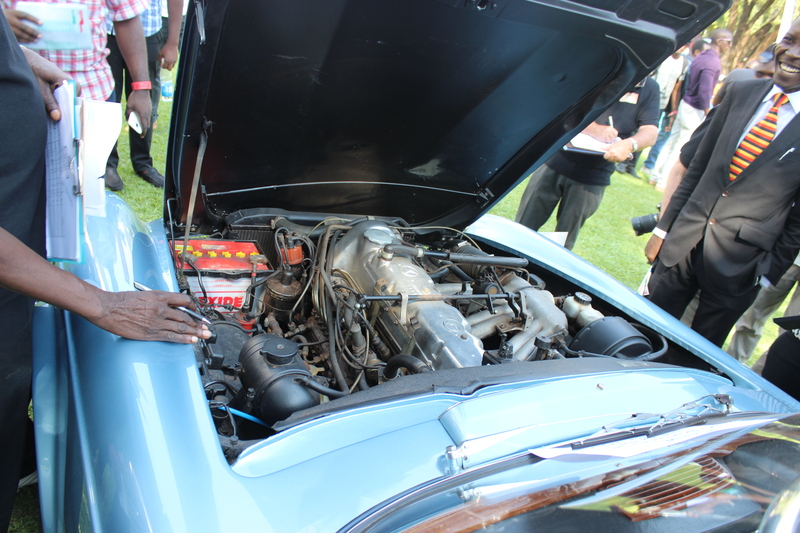 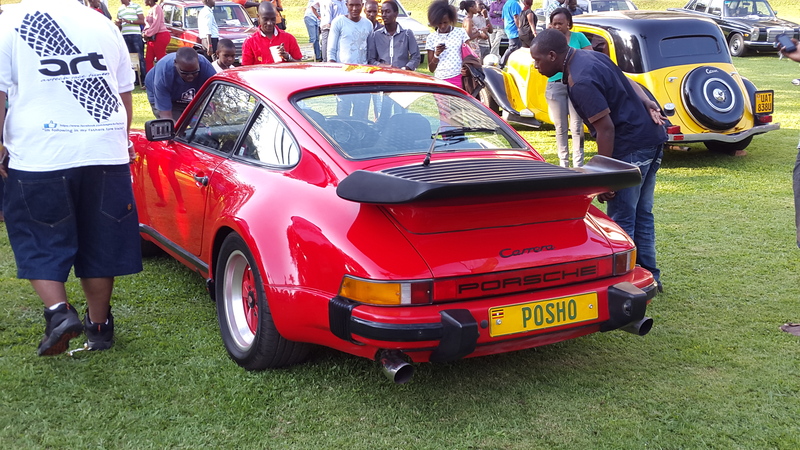 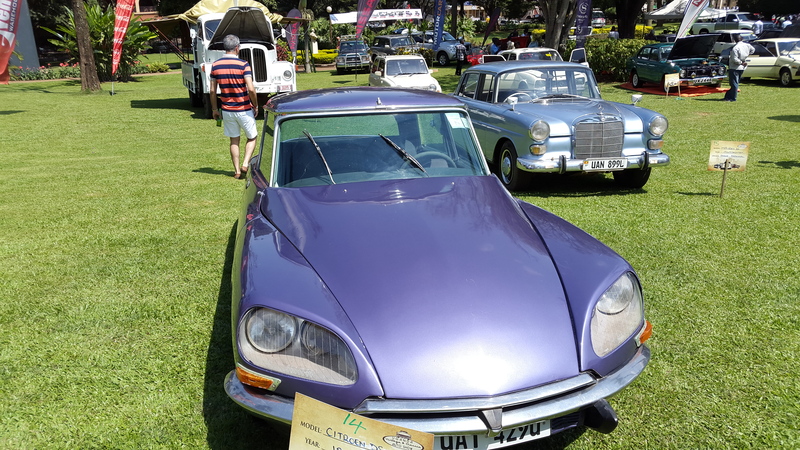 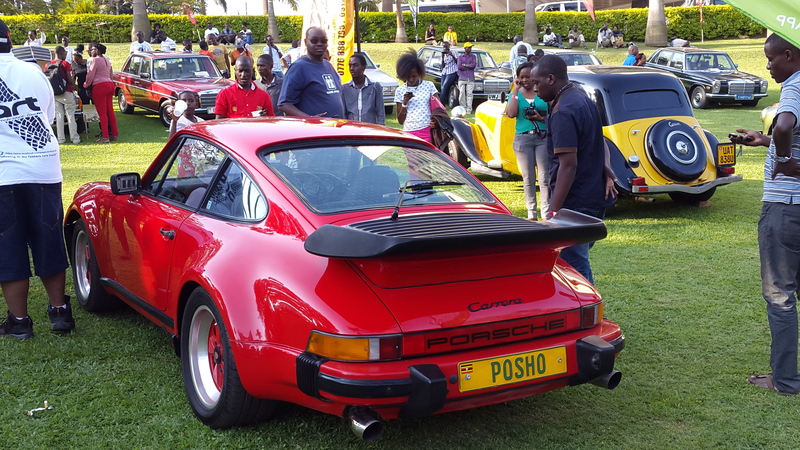 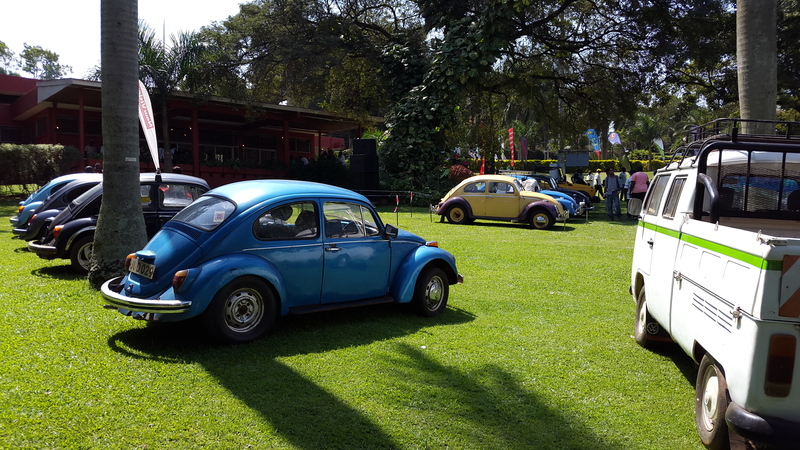 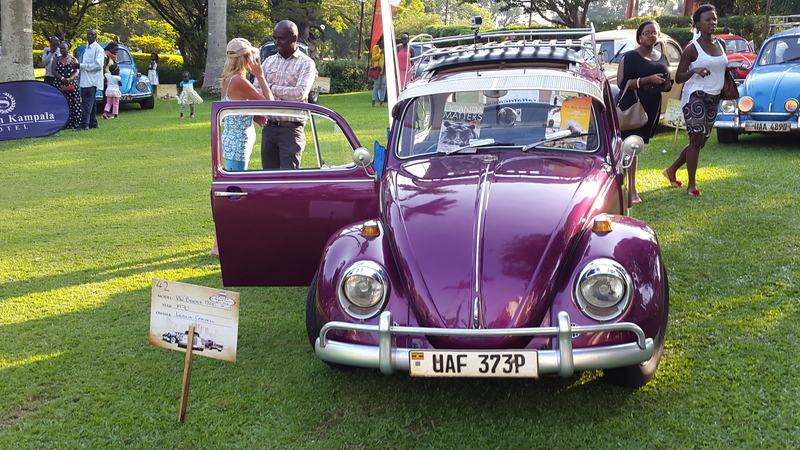 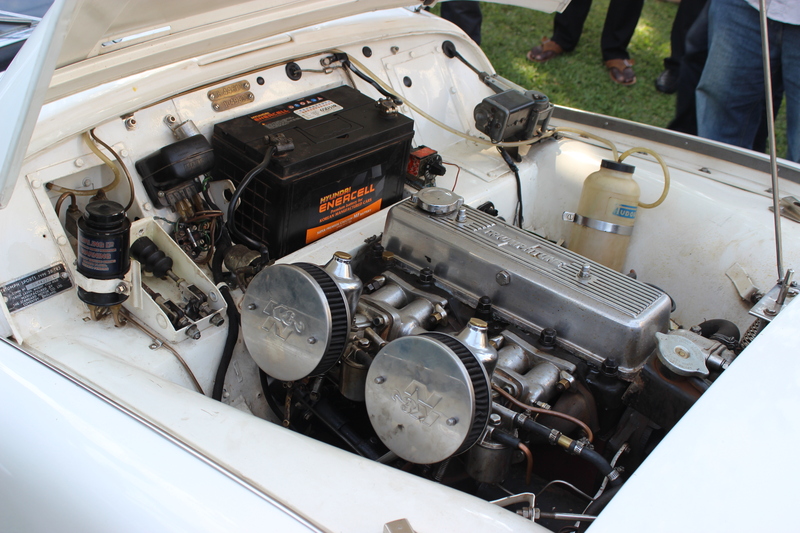 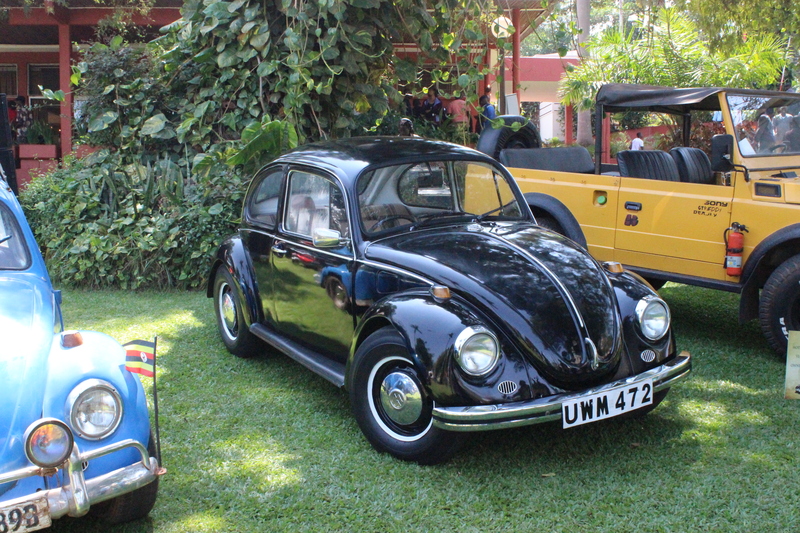 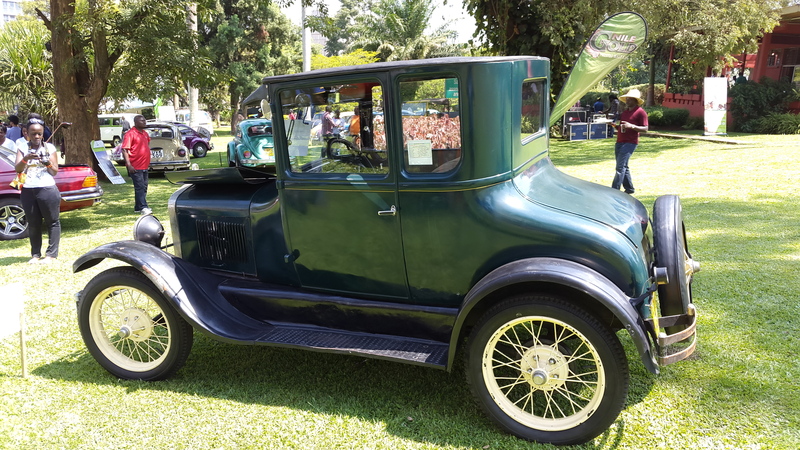 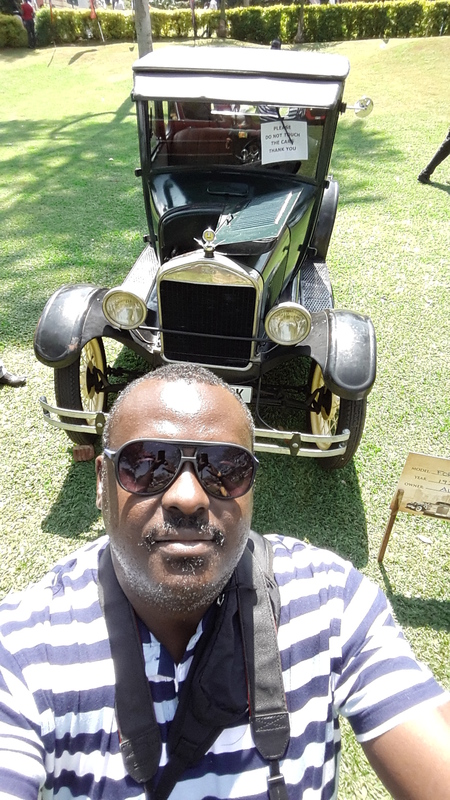 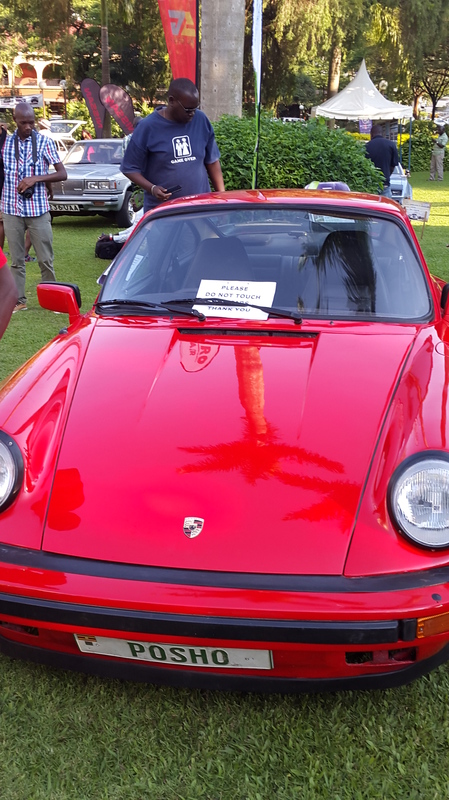 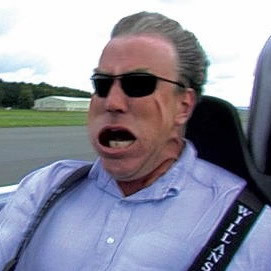 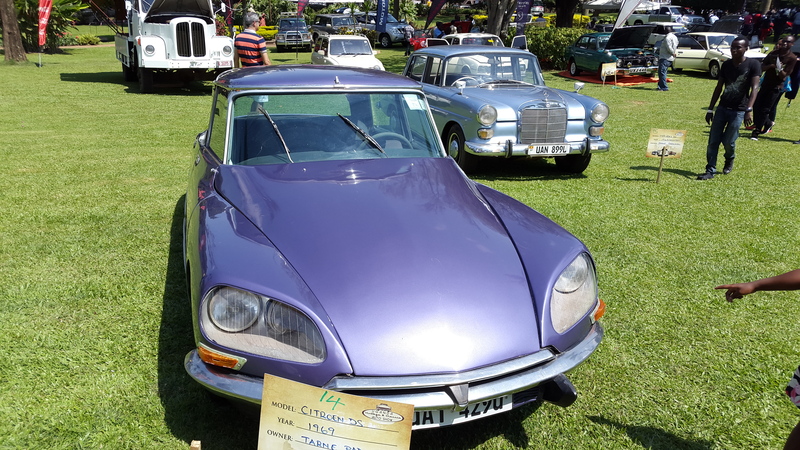 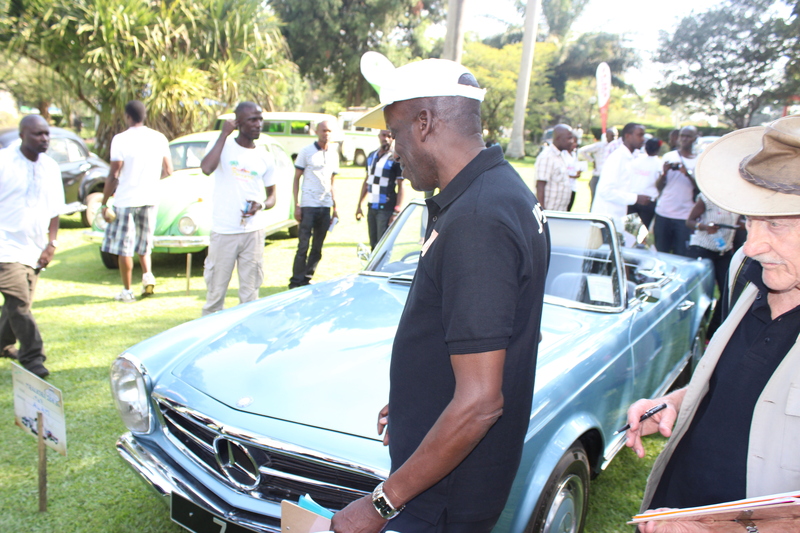 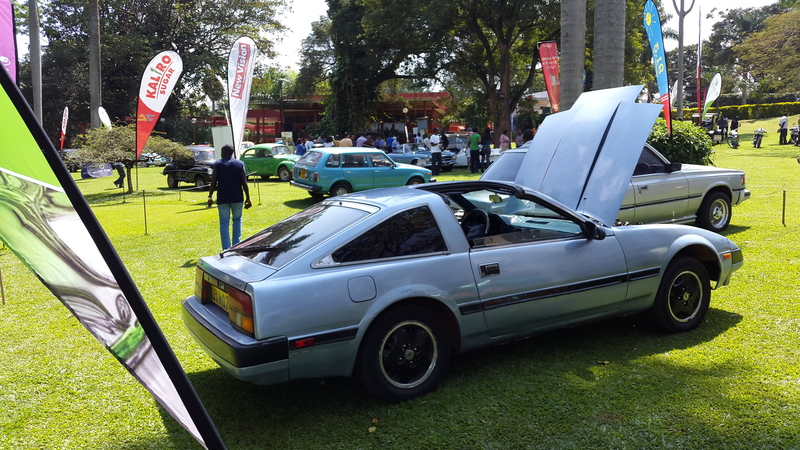 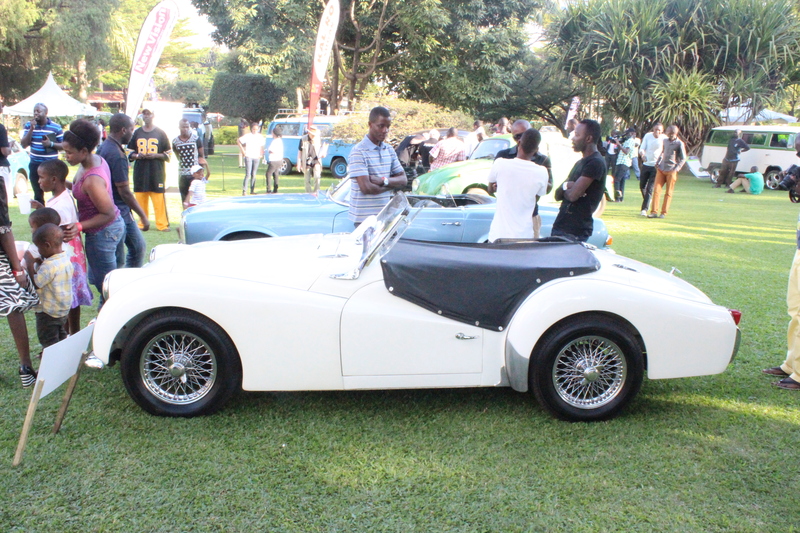 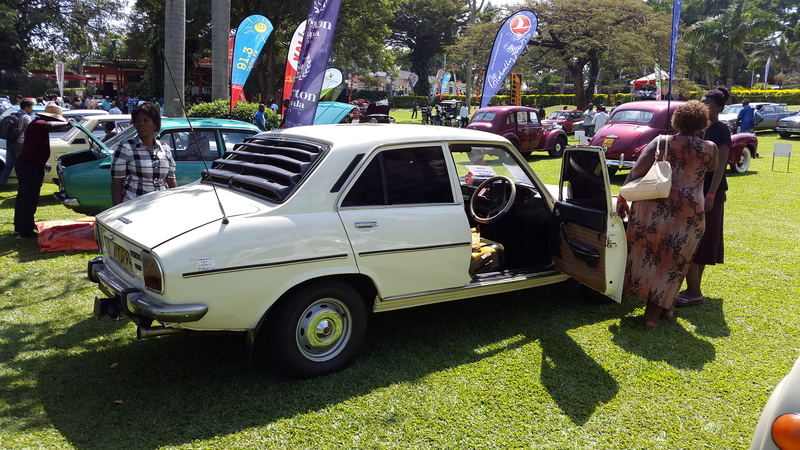 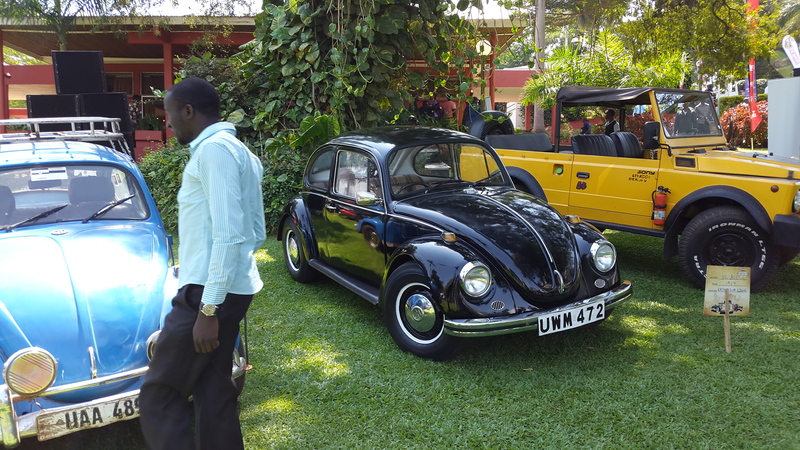 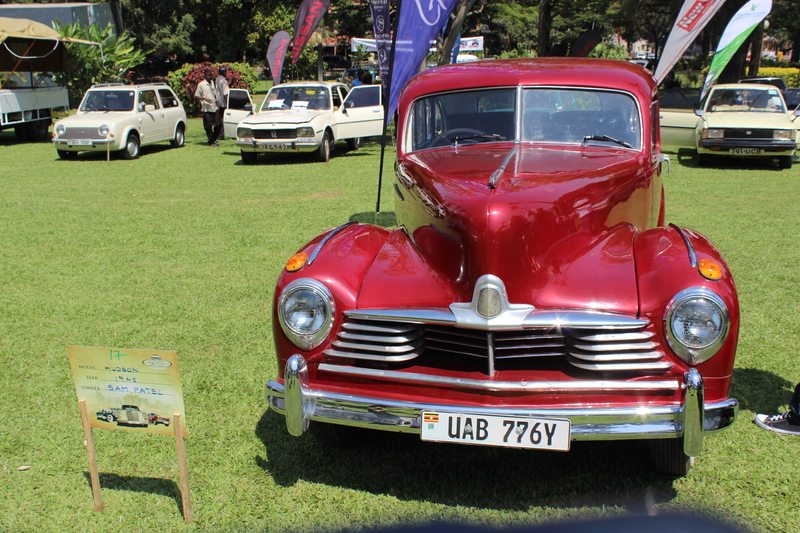 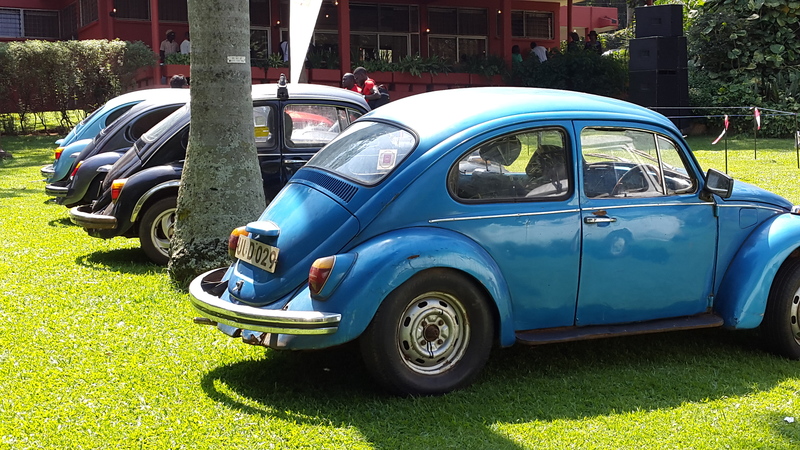 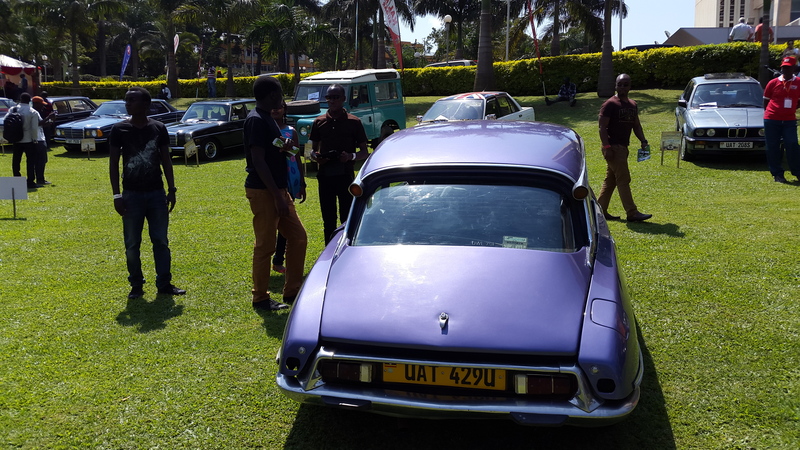 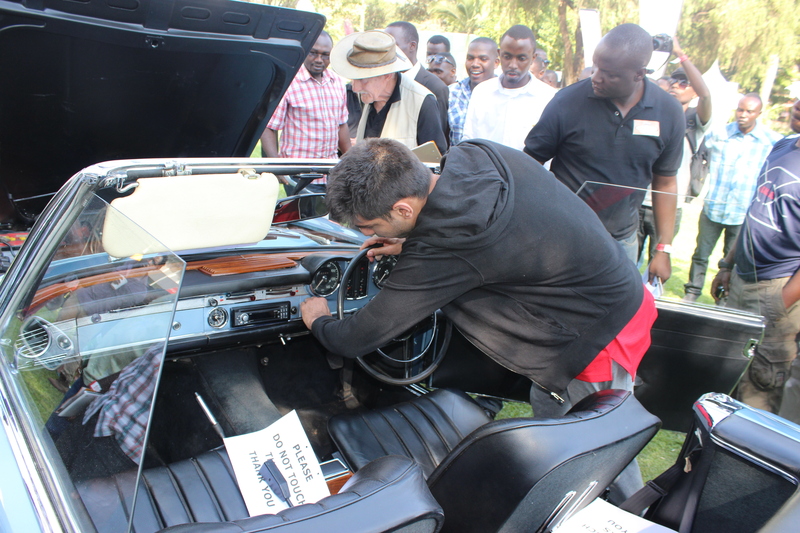 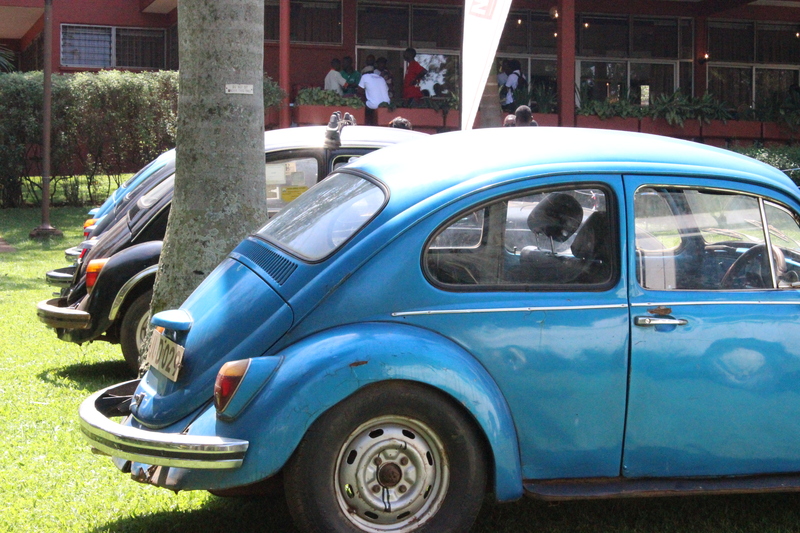 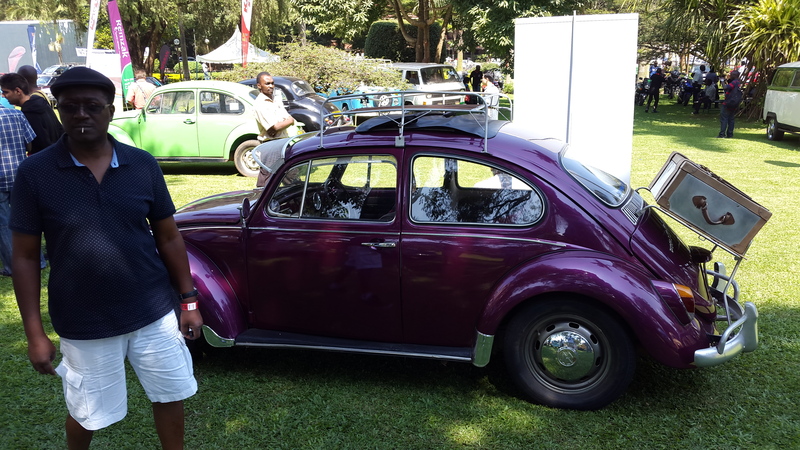 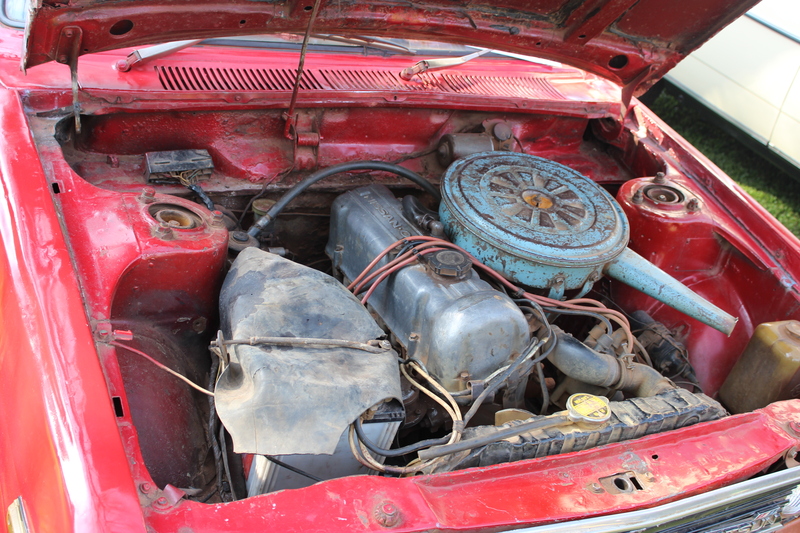 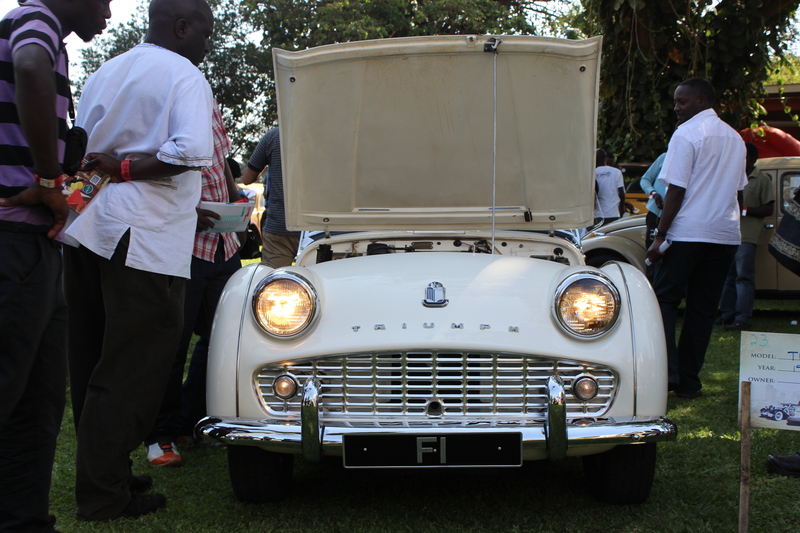 Obviously, his car was not the cleanest of the lot, but the fact that this ‘ordinary gentleman’ could not only keep his car running well for over forty years but also feel proud enough of it to enter into the Vintage & Classic Auto show was heartening. 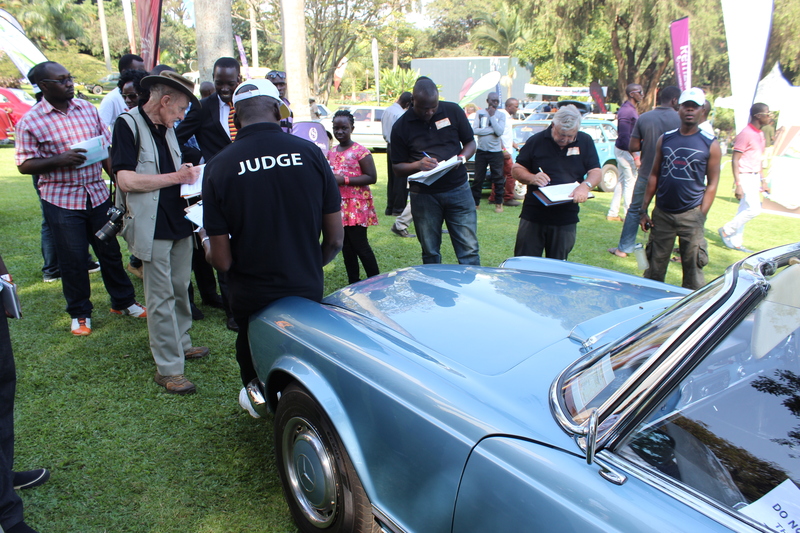 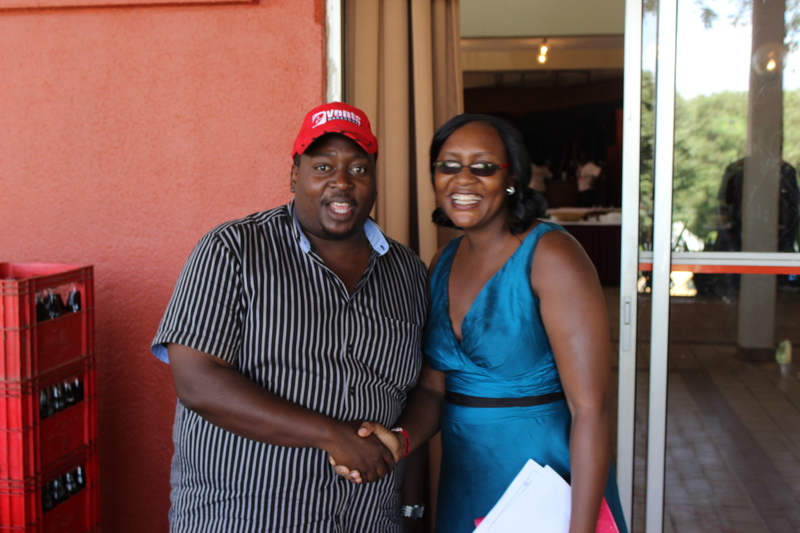 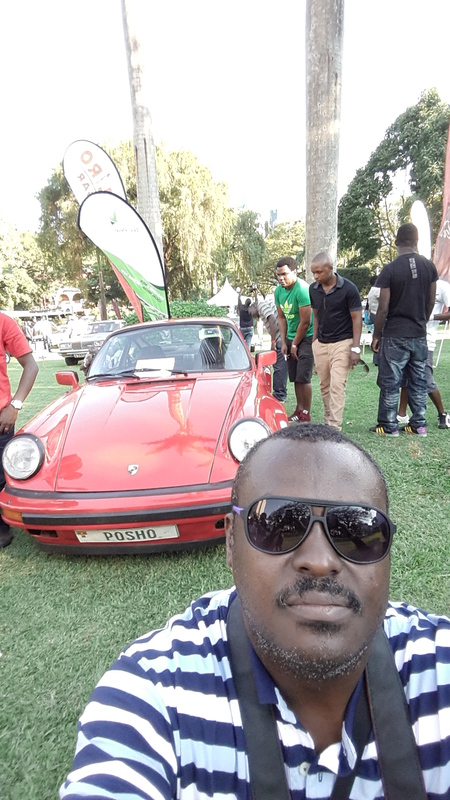 He went on to challenge anyone to a race from Kampala to Nairobi; which he claimed he would win hands down judging from his trip to Kabale and Mbarara last year. 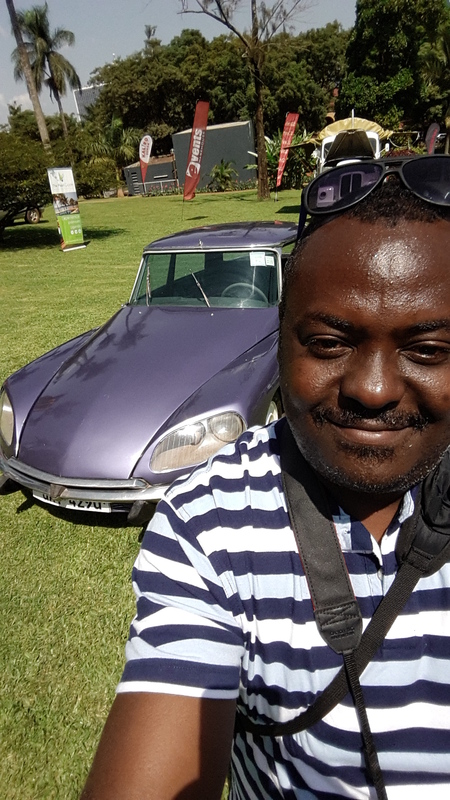 Amos Kasule Mwesigwa, a cousin of mine with long memories, was livid over a couple of missing details on the Citroen, and the change of number plate; and I let him jump around in anger for a while before placating him with the reasoning that at least the car was still here for everyone to see – and in pretty good condition too! 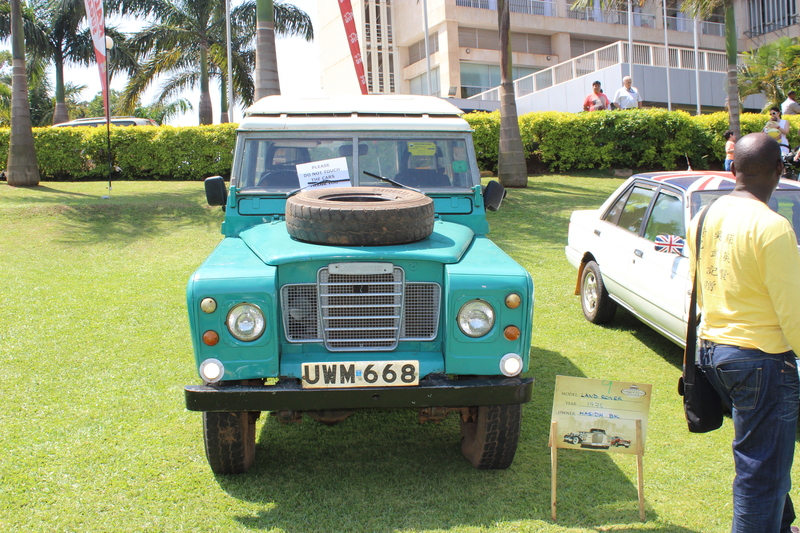 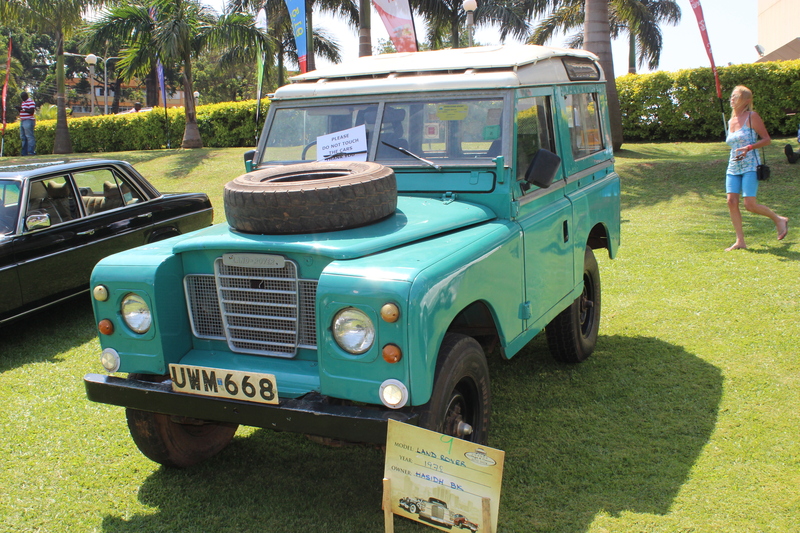 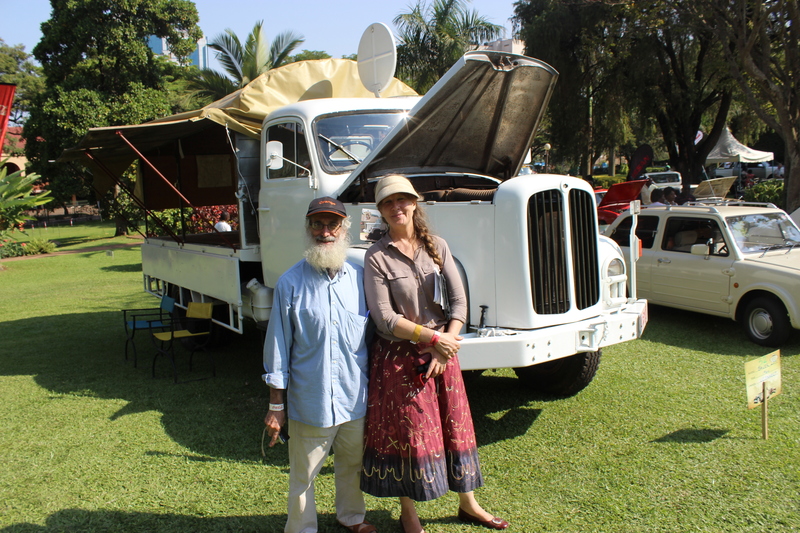 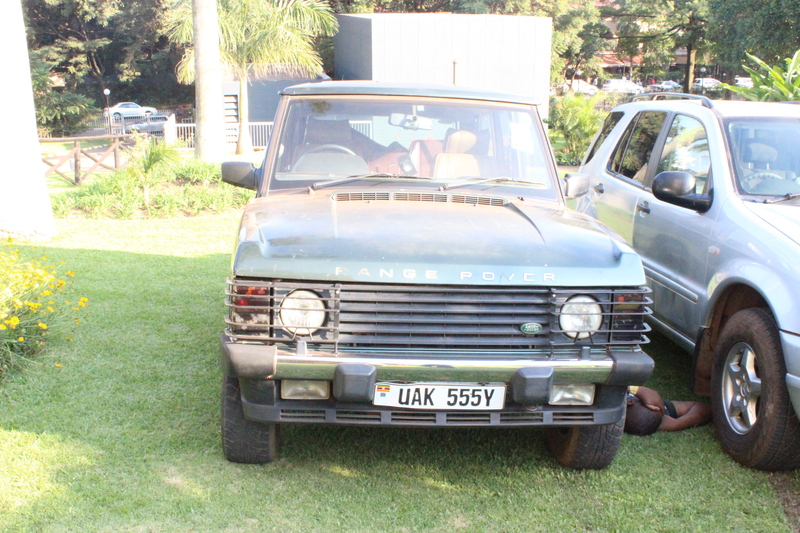 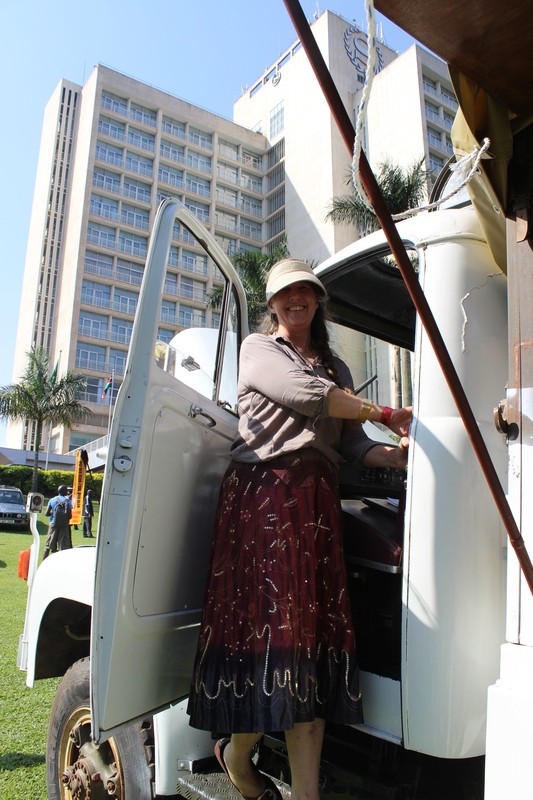 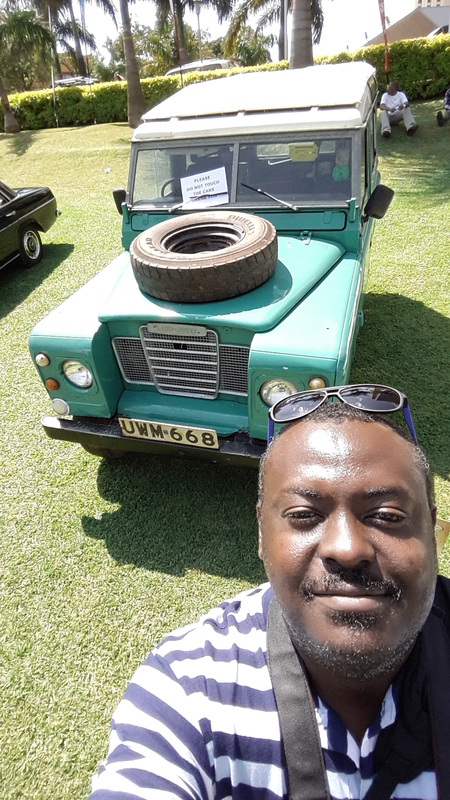 This truck also caught my eye, and one day the Sterns will write their story into a book for all of us to enjoy – detailing how they decided to move to Uganda in the late 80s, how they acquired this truck, and the journey they undertook with their nine (9) children to settle in Uganda. 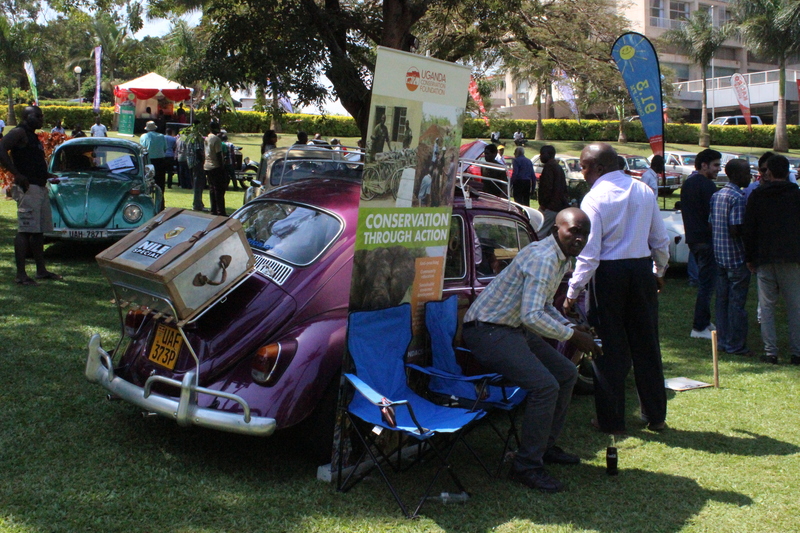 The Combis and Beetles also caused great amounts of excitement – and I even found one on offer for just Ushs6million! 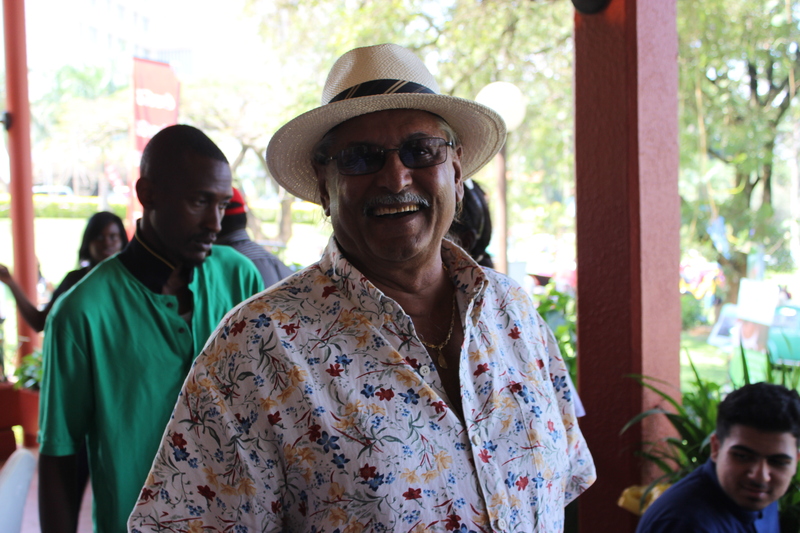 The pictures won’t end in a hurry – there are hundreds more! 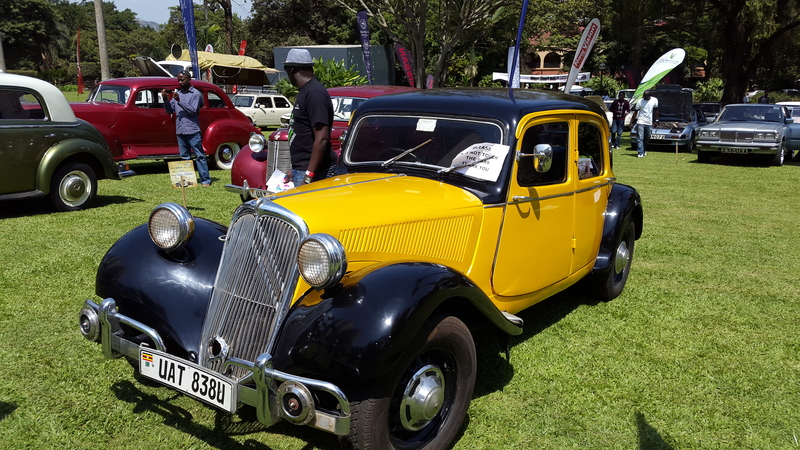 On to next year’s edition – WE now have 12 months during which we should go round to all the garages and compounds nearest to us to rescue as many vintage and classic cars as possible, then get them back on the road. 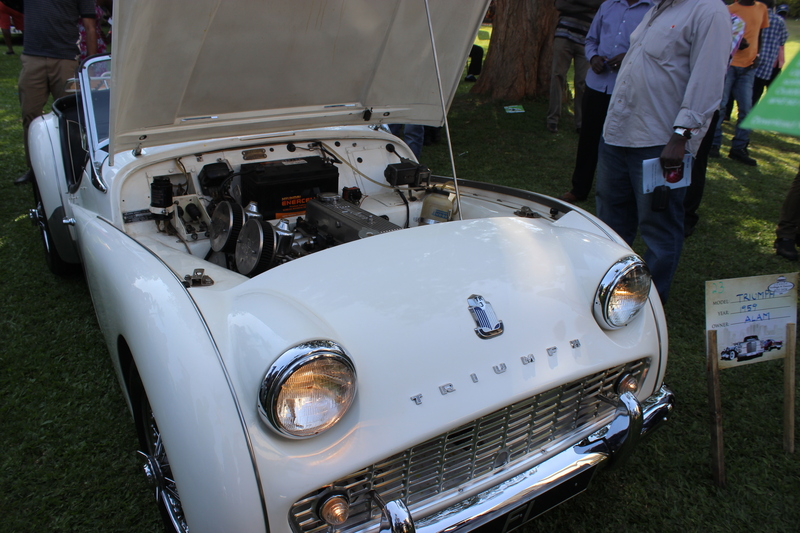 We now have enough mechanical workshops to make this a reality, and where we need parts from anywhere else, we can use the internet. 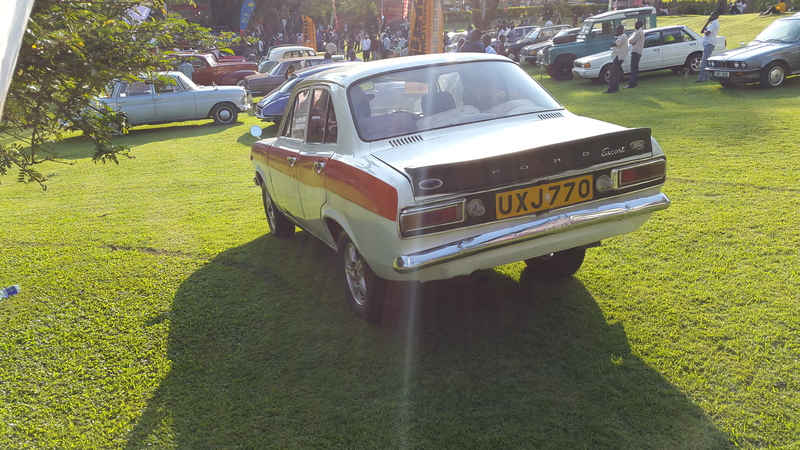 And we all know that there are hundreds of other classics that simply didn’t turn up this year or last year. 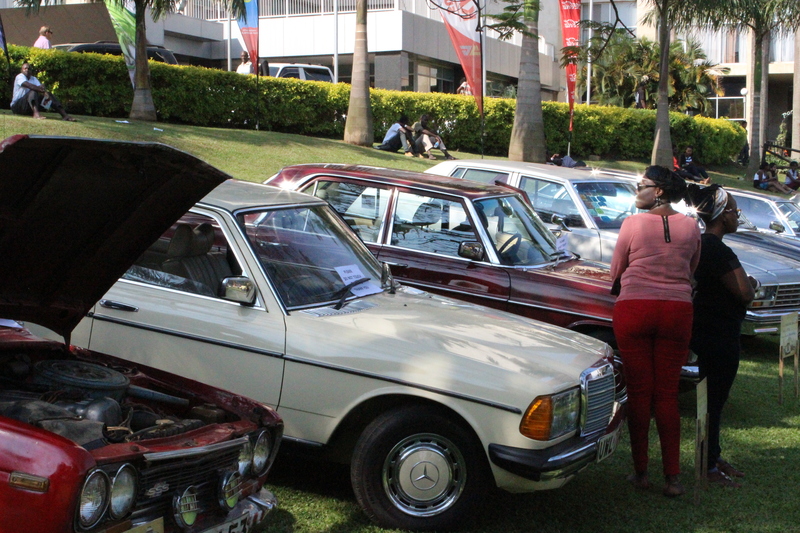 We need to get them to all make a showing.